Gary Jay pulls out all the stops at the 2013 St Louis Anarchy Circus Maximus against Adam Raw in a 10,000 Thumbtacks match main event !! One of pro wrestling’s respected tournaments returns in 2013 when the Ted Petty Invitational tournament begins on Friday, September 13, 2013. The great history of the tournament has seen superstars such as Chris Hero, Ace Steel, B.J. Whitmer, Danny Daniels, A.J. Styles, Matt Sydal (WWE’s Even Bourne) , Low Ki, Mike Quackenbush and Drake Younger have all been crowned champions in the tournament. Superstars such as Colt Cabana, CM Punk, Adam Pearce, Christopher Daniels, Ken Anderson, Jerry Lynn, Arik Cannon, Samoa Joe, Austin Aries, Davey Richards, and Bryan Danielson (WWE’S Daniel Bryan)are just a few of the stars that have thrilled fans in matches in the tournament. With the names of the men that are set to compete in the 2013 TPI tournament there is no doubt that this years winner will go down in history books as one of the best in todays’ sport. The promoters at IWA Mid-South Wrestling announced on their Facebook page that the 24th participant would be chosen by you the fans and fellow wrestlers support. One man that is deserving is the man that many claim to be the best kept secret in the wrestling today, Gary Jay. Gay Jay can be seen wrestling around the country for the land of Anarchy in Texas and St Louis respectfully. He has made an impact at Metro Pro Wrestling in Kansas City, Pro Wrestling Epic in Illinois and AIW. Adam Raw brutalizes Gary Jay as the two went to a classic in 2013. Hard working and very entertaining Gary Jay puts his body on the line each and every match for you the fans. It is now time for you to take the time to go to the IWA Mid-South Facebook page and let your voice be heard. Be sure to tell them Gary Jay and WHY he is deserving of being in the tournament. When it was all said and done Gary Jay was bruised, battered and bloodied but was able to defeat the powerhouse Adam Raw. Let’s take a look at some of men and women that have come to forefront to support Gary Jay in this high honor of being named as a competitor in the 2013 TPI. Show your support by going to the IWA Mid South Wrestling Facebook. Dingo Machete I as a former IWA MIDSOUTH CHAMPION whole heartedly endorse Gary Jay for this year’s TPI. Jonathan Gresham Gary Jay would be a great addition in my opinion. Joshua Neal Montgomery Gary Jay is consistently one of the best workers on any card he is booked at all over the country. Kz Chif Gay Jay is a best who can do any style and can go with anyone. Chris Eston Gary Jay is a great performer, seen him many times and can honestly say I have never seen a bad match from him, always entertaining!! Phineas Bartleby Crackers Gary Jay is one of the hardest working guys on the indy scene. Great wrestler, a gifted bad guy. Easy to hate because he’s so damn good at what he does. Alan Anderson Gary Jay is the total package…he can wrestle as well as work the mic and the crowd. I know if I’m going to a wrestling event and Gary Jay is on the card, I know I’ll at least be seeing one great match. Gary Jay never fails to deliver. Mike Marnin Gary Jay is one of the hardest hitting and most entertaining guys I’ve seen in the ring! You’d be making a huge mistake if you didn’t put him on this TPI! Pierre Abernathy – Gary Jay is not just someone who would be great in this amazing weekend of wrestling he is someone who would be a asset to the IWA show as a whole going forward. I book Saint Louis Anarchy and Gary is someone who always goes above and beyond for our fans and he does that everywhere he goes. Its time he gets the chances that others have gotten and he gets to show that even though he is small he is a great worker. David J. McCutcheon Gary Jay, by far. He was lawn-darted into a wall, for Christ’s sake. The thud! Ow! Give him a break before he breaks something. Billy McNeil Gotta echo what some others have suggested already, Gary Jay. More people need to be exposed to what that guy has to offer. His dedication to putting on the most memorable and entertaining performance of any given night is astounding. John Meyer please put gary j in the tpi he’s a hard hitting guy and he loves thumb tack matches and anything goes matches put him in a spot thank u.
Andy Dalton I had the pleasure of wrestling Gary Jay in Dallas Texas a few years back…and have followed him (and the Sub Squad all together) since. Garys creative, hard hitting, and an absolute pleasure to watch. Great talent. Gary Jay for the TPI. Aaron Roy Gary Jay Chops will make you bleed..
Jonathan Culver -Gary Jay. There is little doubt in my mind he will all but kill himself to make this show fantastic. David Cox Gary J is easily one of the best “unknowns” out there, but he is also one of the nicest and most poliite persons I’ve ever met. The fact that on the few times, I’ve been lucky enough to share a car with him, he always got his trash out and threw it away. Little thing, shows his character. Too me, that’s the most important thing. Ryan Masters I’ve known Gary Jay since I was 16 (I’m 22 now) and I’ve met a lot of independent wrestlers since then. Out of all the amazing and dedicated workers, Gary stands out not only in the ring but in a way not everyone may notice. I met Gary by working for the company he wrestled for. I helped with the ring set up, ect. To give credit where it’s due, Gary wasn’t alone but he was on a VERY exclusive list of guys who helped put the ring up and help take it down EVERY night. I’ve seen Gary Jay wrestle an hour long war and still stay up until 1am getting the ring where it goes. It wasn’t his ring and he didn’t get paid extra. He was already a main eventer in the company. He did it for one reason and that was because he wanted to. He probably still does it to this day. He cares so much about what he does. The level he’s on is irrelevant because he puts on main event matches no matter where he’s at or who he’s against. I’ve seen Gary play the biggest face in the company, drawing fans with his name, to being the biggest heel in the company. I know what he’s capable of and so do a lot of people at this point. His name is growing and he deserves this spot. 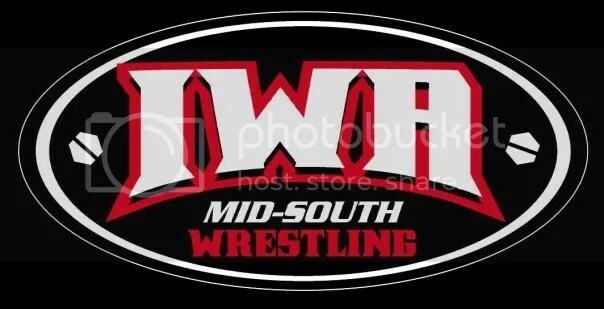 Show your support by going to the IWA Mid South Wrestling Facebook here. Missouri Wrestling Revival is thrilled to announce that the tenth MWR Trading card will be none other than the current Ring of Honor World Champion Tyler Black. Hailing from Davenport Iowa and trained by Danny Daniels, Tyler Black has quickly risen to the top with dedication and love for the sport. One of the most dynamic and exciting wrestlers it is hard to believe that at only 24 years of age Black is among the elite in the world today. Opponents have to watch out for an encyclopedia of moves from this young star that includes Corkscrew 450° splash, Fireman’s carry facebuster, God’s Last Gift / Small Package Driver (Fisherman DDT floated over into a small package), Paroxysm (Twisting inverted brainbuster or a twisting lifting reverse DDT). 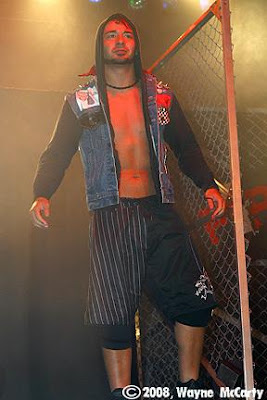 Black has also competed at Scott County Wrestling, Independent Wrestling Association Mid-South, the National Wrestling Alliance, 3XWrestling, Pro Wrestling Guerrilla, Wrestling Society X with great matches with Nigel McGuinness (TNA’S Desmond Wolf), Go Shiozaki, Austin Aries, Jimmy Jacobs and Jerry Lynn. Pro Wrestling Illustrated ranked Tyler Black #17 in the world in 2009 but in 2010 a career highlight happened on February 13, 2010 when Black defeated Austin Aries in the main event of ROH’s Eighth Anniversary Show to win the ROH World Heavyweight Title. MWR trading card #10 celebrates the accomplishments of Tyler Black and will be a must have for all collectors. With photos from photographer Scott Finkelstein this card will go fast. We hope to debut this card at Pro Wrestling Epics show where ROH World Champion Tyler Black will take on PWE US Champion Brandon Aarons in Mt Pulaski Illinois on June 26th. #1 The Northstar Express Darin Corbin and Ryan Cruz– 2008 MWR Tag team of the Year. #2 Mark Sterling- 2009 MWR Wrestler of the Year. For a complete list of Missouri Wrestling Revival trading cards as well as WWE , TNA and Japan sets check out the website Wrestling trading cards.com here. In less than a week Tyler Black will take on the ultra dangerous Davey Richards at the ‘Death Before Dishonor VIII ’ IPPV defending the coveted ROH Championship. Everyone here at MWR would like to wish Tyler Black the best in this exciting matchup. Things are heating up for this June 19th. Let’s take a look at the comments of both Tyler Black and Davey Richards as each man prepares for their epic battle in Toronto ! Check out this special video and see for yourself what both competitors feel is at stake! Is Tyler Black facing the toughest challenge of his wrestling life at ‘Death Before Dishonor VIII’? Will Davey Richards take the next step on the road to proving he is the best in the world? You can witness it all LIVE!! Be with us in Toronto , good tickets still remain at the store, and if you can’t make the trek into Canada , see it all for yourself in the comfort of your own home with GoFightLive!! ‘Death Before Dishonor VIII’ will be broadcast LIVE WORLDWIDE starting at 8pm on June 19 for only $14.95! One way or the other you can witness wrestling history as it happens! Check out GoFightLive.tv for information on how to order this must-see iPPV event!!! If for some reason you need more hype for this match, check out this video and see what the buzz is all about!!! For all your information for Tyler Black please check out his website here. Ring of Honor returns to Collinsville, IL on July 23rd to buy tickets click here. Jeremy Wyatt once again dominated the Midwest . 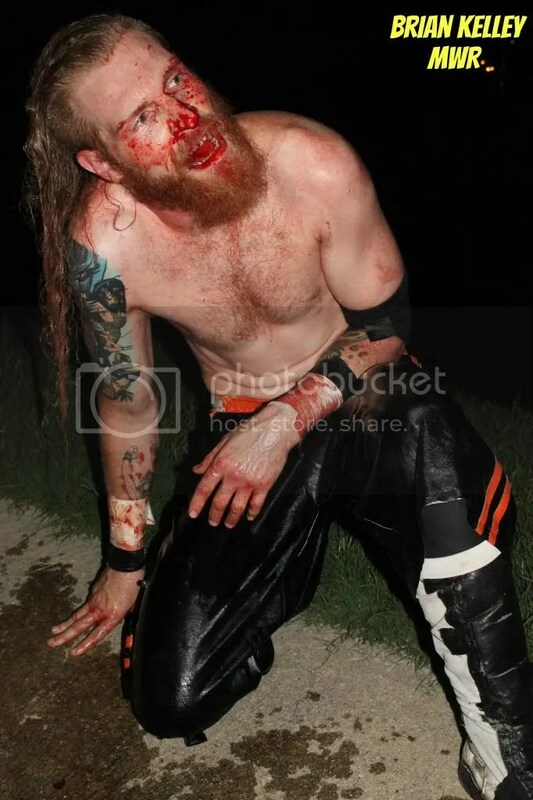 On May 1st in Carlisle, IA at 3XW he regained his 3XW Pure Championship from Tyler Cook when he delivered a Kansas Tumbleweed to Ricky Kwong in a four way dance, with the match stipulating that whoever got the pinfall would win the belt. At Pro Wrestling Phoenix, Wyatt defended his title against Payday Patterson and with his friends Mark Sterling, Brett Young and Joey Daniels, Wyatt created mayhem when they attacked innocent ring crew members, current and former wrestlers and whoever would get in their way. In Kansas at NWA Dynamo Pro Wrestling Shawn Shultz defended his NWA Mid America TV Title in a triple threat versus Jeremy Wyatt and Shorty Biggs. Wyatt was victorious, but pinned Shorty, so according to the previously stipulated rules Shultz retained his NWA Mid America TV Title. Wyatt was so close to becoming an NWA Champion, but a match with Shultz one on one will be a must see for all wrestling fans. At LWA, the title of the May 30th show was “The Future is Now” with the thought that Donovan Ruddick would reclaim the LWA title that was once was his. Wyatt and Ruddick fought in the ring and out. When the smoke cleared Wyatt retained the title. An amazing month for the man nicknamed The Belt Collector. These two haven’t been together long, but they’ve already rocked PWP to its core. By earning PWP Tag Team gold and uniting with Jeremy Wyatt and Joseph (not Joey anymore) Daniels, they’ve become one of the Midwest’s strongest factions in just one month. Defeated former TNA Star Mickie Knuckles in GAW on May 9th. Not much is known about this stunning female wrestler who came into the Midwest and took home a big victory against one of the toughest females in the history of the sport. MWR will keep our eyes open to see where Star will shine next. Celebrating the 50 year at the Chase, this organization worked closely with the St Louis Dispatch for weeks to provide a week long tribute to wrestling past and the current. A full pull out in the paper and information throughout the week prior to the May 9th show along with awesome internet links on their site gave pro wrestling in the Midwest a positive look at the importance of the sport. From Sam Muchnick to Harley Race to Gary Jackson. Harley Race and several friends made the reunion a success. Take a look at the article yourself and you will see why the month of May should go to MMWA-SICW and the St Louis dispatch website at 50 years of Wrestling at the Chase. As the host of the fan favorite wrestling/MMA show with Matt Krueger Bland provides an outlet for wrestling fans to speak their mind on the sport that they love. When Mark Bland decided to get back in the ring and offer some excitement in the Midwest with a match against any champion in a 200 mile radius, no one stepped up. Bland looked around and wanted to take on one of the best wrestlers in the Midwest and found himself what could be his death wish in Donovan Ruddick, the High Voltage Wrestling Heavyweight Champion. A Sunday phone call to HVW promoter “TNT” Keny G lit the fuse that saw an invite to AWR’s Matt Krueger to their show on May 9th. Krueger unwisely attack Ruddick with a chair and got rewarded with a one way ticket out of the arena. The aftermath has seen Mark Bland go back into training with warnings from UFC former Champions to Ruddick that Bland will knock him out. TNT Keny G responded on May 31 by taking over the AWR Radio program while Bland attended to his family for the day. What will happen in this feud? Will Bland be able to topple the giant or will he be exposed as the fraud many thinks that he is. Whatever the end results the year of 2009 looks to be anything but “bland”. Mississippi Madman was on a roll as the PWN Champion last month he won a huge Title vs. Hair match against Marek Brave. The Madman looked unstoppable going into the his title defense against the talented Danny Daniels. Daniels would stop at NOTHING and took it to the big man. Outside the ring they fought and up the bleachers and throughout the building. The Madman look to turn the momentum, but with a little distraction from a masked man Daniels was able to put the Madman through a table and get the one two three. Wrestling fans I have to apologize to you for the amount of work that I have not had a chance to do with MWR as of late. This recap will not be as thorough as I would like and my pictures are at my home computer and I am out of town for the moment so I can not add them, but with a PPV talent filled matches that PWN will have this Friday I felt the urge to share with you thoughts from the last show and encourage you to make the trip to Davenport. I was thrilled to get an invite to Pro Wrestling Next located in Davenport, Iowa to check out a phenomenal card on May 15th. Some of the most talented wrestlers in the country work for this upstart promotion. Pro Wrestling Next recently took over Scott County Wrestling in a battle of the two promotions and this was one of their very first cards under the PWN banner. Thanks to PWN I was able to get some great interviews that I will share with you to go along results from Craig at the PWN message board I am going to give you the recap from an exciting night of wrestling that saw ROH Superstars Tyler Black and Jimmy Jacobs, former WWE Star Zach Gowan. PWN also boast some of the great tag teams with The Phoenix Twins, Zero Gravity, Hybrids and The Northstar Express. Also on the card was top young talent like Juice Robinson, Krotch, Hunter Mathews, Shane Hollister and Arik Cannon. Main event match Danny Daniels and The Mississippi Madman for the PWN title all show that PWN is one of the premier promotions in the Midwest. Before the show started, Mark Storm announced that Pro Wrestling NEXT was an official affiliate of the National Wrestling Alliance! In the opening match of the evening, Zero Gravity and Samuray Del Sol def. Nick Brubaker and The Hybrids in an impressive high flying match. Del Sol looked especially impressive in his PWN debut. Mark Storm came out to the ring and former SCW Senior Executive Jake Ryder followed shortly behind. Storm announced that he was keeping a majority of the SCW roster as part of his staff. Jake assumed that meant he still had a job too, but Storm cleared that right up when he officially fired Jake Ryder. Jake asked Storm what he was suppose to do. Storm said that Super Target was hiring. Security then escorted Ryder out of the building. “The One Legged Wonder” Zach Gowan defeated Juice Robinson with a moonsault off the top rope. Missouri Wrestling Revival caught up with fromer Scott County wrestler Marek Brave who was not happy with one Mark Strom. Tyler Black and Marek Brave were set to square off, but Brave said that he didn’t agree to compete against Black and that he was going to do it his way and introduced his partner making it a 2-on-1 match, Ring of Honor star Jimmy Jacobs. Just as Jacobs and Brave were about to strike, Krotch’s music hit and we were treated to a surprise tag match. Tyler Black and Krotch defeated Jimmy Jacobs and Marek Brave when Jacobs and Brave had an argument that led to Jacobs giving Brave a DDT and leaving him. Brave has certainly has his fair share of humility over the last few months. It’ll be interesting to see how he bounces back. QC Champion Hunter Matthews came to the ring ready to wrestle Krotch in their scheduled QC Title Match, but since Krotch had already competed, he could not compete in the QC Title Match. When Matthews thought he didn’t have to defend, Mark Storm announced that he would have an opponent and it would be his longtime rival, Dewey Dawson. Hunter Matthews defeated. Dewey Dawson with a top rope piledriver. This match was all over the place. Near the end, Dawson grabbed one of the merchandise tables full of DVDs, placed Matthews on the table over the DVDs and delivered a frog splash from the top rope to the outside! The Phoenix Twins and The Northstar Express went to a Double DQ as things got out of control. These two teams will meet again on June 5th and you, the fans can pick the stipulation! Mississippi Madman prior to his war with Danny Daniels talks to Dubray Tallman from MWR. In the main event, Danny Daniels defeated The Mississippi Madman to become the new PWN Champion when a masked man ran in and distracted Madman long enough for Daniels to put the former champ through a table and getting the pin. On Friday, June 5th, PWN presents “The Next Show” and right here, fan have the opportunity to vote for what they want to see! Each link will lead you to a poll where you have the opportunity to vote for the option you like best! Vote as much as you’d like and keep check back as more polls will be opening soon! Follow the link below each pic to vote on that match. What Kind Of Match Would You Like To See The Phoenix Twins and Northstar Express Have? Who would you like to see Davey Richards face? Should The Mississippi Madman get a rematch against Danny Daniels for the PWN Title? Who would you like to see challenge Hunter Matthews for the QC Title? The tag team scene heats up. After what seemed like an eternity at the number one spot, the Northstar Express fell one spot to number two. Taking their place at number one is the ultra-talented team known as The Phoenix Twins (Tweek & Dash). The Phoenix Twins have received their fair share of accolades this year. In the MWR coverage area for 2008, they have held the AAPW tag titles and wrestled in the MWR Match of the Month for March. They’ve also been MWR Tag Team of the Month in March and May, as well as the Tag Team of the 1st Quarter. While nipping at the heels of the Northstar Express since the beginning of the 2008 Wrestling Revival Cup, Tweek and Dash overtook them after capturing the Scott County Wrestling Tag Team Titles this month. That’s not to say that Darin Corbin and Ryan Cruz are out of the hunt. A very popular tag team, the Northstar Express suffered a setback when Darin Corbin injured his knee at a 3XWrestling show in Des Moines, IA in September. He’s since recovered moderately from the injury and they’ve got a busy second half of October, but those matches are tough and could slow them down even further. Another team that has slipped slightly in the tag team rankings is the team of Danny Daniels & Trik Davis, collectively known as Windy City Classic. Windy City Classic had a tight grip on the Scott County Wrestling Tag Team Titles for a large portion of the year, but the talent and teamwork of teams such as Zero Gravity (Brett Gakiya & CJ Esparza) and Phoenix Twins caused them to wear down over time. Both teams have tasted SCW Tag Title glory in the past two months. The team to look out for is the LONRs (Darrien Sanders and Mark Sterling). These guys have been on a steady climb as of late, and the month of October could prove to be their best yet. The LONRs defeated the former number one team twice this year (Northstar Express) in successful defenses of the Pro Wrestling Phoenix Tag Team Titles, and last week defeated the new number one tag team (Phoenix Twins) to capture the All American Pro Wrestling Tag Titles. The dark horse in the hunt for the MWR 2008 Wrestling Revival Cup for tag teams would have to be Lethal Wrestling Alliance’s top tag team, Davey Vega & Johnny Vinyl. These two have competed solely in the LWA this year, a promotion without tag team titles to measure success. Currently ranked 11th, these two have crawled within striking distance of the top ten and at press time were staring down the Northstar Express in a big match for bragging rights and a possibly push to the top of the rankings. Growing up in Davenport, Iowa, Shane Hollister always wanted to be a professional wrestler. He was five years old when he and his dad watched wrestling on TV, his favorite wrestler being Shawn Michaels. From then on he was hooked. Friends and family always knew that he wanted to be a wrestler, but it wasn’t until the age of thirteen that he personally realized it. These same friends and family hoped he would eventually grow out of the obsession to wrestle. His chance finally came and his dream started becoming a reality when he was in his last year of high school. Shane was in the eleventh grade with Danny Daniels and had a few friends that were in a pro wrestling school in Chicago, Illinois. In his senior year, Shane finally started training to be a pro wrestler. He originally hadn;t planned on training until after he graduated, but since his trainer started traveling to Davenport it made it a lot easier to train and do schoolwork. After lots of hard work and grueling training, Shane was finally able to live his dream and have the first match of his young wrestling career. I asked Shane to describe his first match and how it affected him. So far Shane has been pretty lucky on the injury side of wrestling and hasn’t had any major injuries. Getting his two front teeth shoved up to the roof of his mouth and a having his nose broken are his two battle scars. “Getting hurt and just going to get it fixed up is all just part of the job,” he said. Shane has been in many matches so far, but his most memorable match in his own eyes was a tag match with Bryce Benjamin against Alex Shelley and Chris Sabin, the Murder City Machine Guns (known in Total Nonstop Action as the Motor City Machine Guns). Speaking of Alex Shelley, Shane’s dream match is to have a singles match with him. If any promotions need a great main event then book this match. I know I would pay to see it. Shane’s ultimate goal is the same as almost any pro wrestler, and that is to be on the biggest stage in pro wrestling, the WWE (World Wrestling Entertainment). Shane has won a few championship belts along the way. He is the Scott County Wrestling Heavyweight Champion and is also currently the National Wrestling Alliance (NWA) Iowa State Champion. He was also just crowned one half of the AAW Tag Team Champions. He has been a part of Scott County Wrestling, All American Wrestling, Ultimate Wrestling Alliance, 3XWrestling, F1rst Wrestling, Heartland Wrestling Association, and Luchacore, among numerous others. While on the road traveling from promotion to promotion, wrestlers get pretty bored in cars. Shane told me that when he travels, he has to find fun things to do to keep entertained. One thing he does for fun on these roadtrips is making big signs to show to cars. He said it is fun to see what kind of reaction he can get from people. If you ever see a bunch of guys throwing up signs in a car window, remember that it’s probably a group of traveling wrestlers. You just might get to “cuddle”. Shane has not been contacted by WWE or TNA yet, but he said that he has been in dark matches for Ring of Honor (ROH) wrestling recently. This is yet another step in his progression as a wrestler. I have no doubt that he will be wrestling on ROH DVD and Pay-Per-View soon. Shane says that if you want to be a wrestler, “learn as much as you can and always ask for advice. Remember there is always someone who has been doing it longer and better than you.” Great advice for anybody, regardless of occupation. Tyler Black – “He is one of my best friends and has a very bright future in the business. I wouldn’t be surprised to see him making an impact in a major way before the decade is up. That does it for me and this closer look at a great pro wrestler from right here in the Midwest. I want to personally thank Shane Hollister for putting up with all of my questions and allowing me to write this report about him. There were a few times that I told Shane that this will be the last question and before I knew it I was asking another one. Shane graciously answered it. I feel like I have a new friend in Shane after writing this report. Thank you again, Shane. You are an amazing wrestler and I can’t wait for that one day that we will all see you on TV. I have no doubt that it won’t be long! It’s that time again! This is Missouri Wrestling Revival’s fifth installment of monthly awards as we progress toward the midyear point. The month of May was busy for MWR and the entire Midwest wrestling scene. MWR expanded our coverage area in an attempt to bring pro wrestling fans better coverage of events in this part of the country, and we hope this will reflect in future MWR Awards posts as well as future articles and features on the site. The committee has also expanded, as now we have eight members who nominate and vote on the awards. Let’s see how they voted! Hollister had one of the toughest schedules of all wrestlers in the Midwest for the month of May. It all started with a tough tag team loss (with Bryce Benjamin) to the Motor City Machine Guns in AAW. It was all good after that, as he followed the loss up with a victory (although tainted) over Egotistico Fantastico in a hard-hitting affair, the closed out the month by defending his Scott County Wrestling Title not once, but twice in one night. He retained the title after defeating Danny Daniels and Marek Brave. It was a successful month for Shane Hollister, as he wrestled some of the best in the business and came out on top in three out of the four encounters. The Phoenix Twins continue to impress wrestling fans across the Midwest. This month, Tweek and Dash won two non-title matches against current tag champions in SCW and AAW. They also each competed in singles matches as part of “Best of Three” series of matches with members of Zero Gravity, splitting the contests and inching closer to being the number one contenders for the SCW Tag Team Titles. For 2008, Tweek and Dash have set the bar very high. 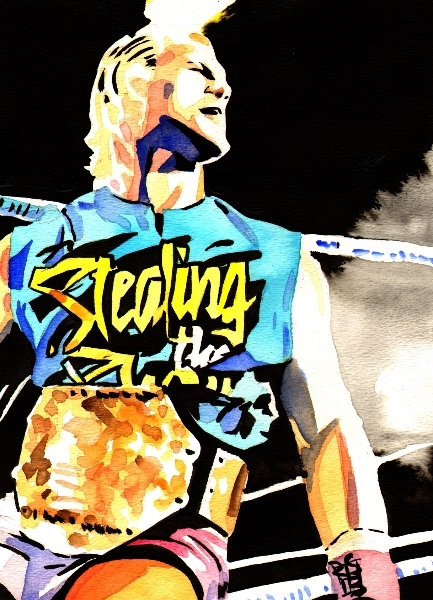 It often seems as if they are the only tag team that can surpass this high standard. With a terrific venue, entertaining champions, and a staff that cares about the fans, 3XW has it all. Looking at the champions can tell a wrestling fan all he or she needs to know: Gage Octane (3XW Champ), Mark Sterling (Pure Champ), Casanova (Cruiserweight Champ), and Northstar Express (Tag Team Champs). 3XW had a great month of May and no doubt is looking forward to their next show in Des Moines, IA on June 20th! Stacy O’Brien has emerged in the second quarter of 2008 as the premier female wrestler in the Midwest. She currently owns the World League Wrestling and MMWA-SICW Women’s Championships. She defeated Ms. Natural and Alexis Lightfoot for each belt, respectively. In yet another month where female wrestlers have been inactive, Stacy is a step in the right direction. Luke is an eighteen-year pro wrestling veteran in various capacities with high hopes (and an equally high possibility) of becoming the Lethal Wrestling Alliance President. A former Personality of the Month winner for other contributions to the St. Louis area wrestling scene (March), Luke Roberts is well-respected and well-spoken. Donovan Ruddick (C) defeated Gary the Barn Owl to retain. Dan-O-Mite is the sole survivor. Steven Davis defeated Shane Rich (C) to become the new AAPW Heavyweight Champion. Justin Sane last defeated Daddy Mac to become the first Tradition Champion. After much deliberating, the MWR staff (with your help) has completed our first ever monthly awards. These awards are meant to give a pat on the back to those who distinguished themselves this past month, and is in no way derogatory to anyone who did not receive honors. We here at Missouri Wrestling Revival openly admit that we can not cover every single promotion, match, and wrestler, but we do hope to help educate wrestling fans in the area as to what is going on in the Midwest! Let’s take a look at the nominees and winners! Jerome Cody (MMWA-SICW) went 3 and 0 for the month of January, including a Battle Royale! 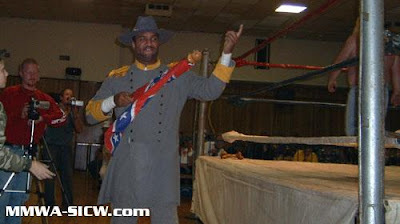 On 1/12/2008, he defeated Jeremy Lightfoot w/ Shaft as a special guest referee. One week earlier he defeated Jeremy Lightfoot after winning a 20-man Battle Royale the same night. He’s proven that he’s durable and talented, and he’s MWR’s Wrestler of the Month for January 2008! It was very tough to choose a top tag team this month as there were solid claims to the spot by each and every one of the honorable mentions, but in the end we had to go with the North Star Express. This month Darin Corbin and Ryan Cruz unexpectedly won the AAW Tag Team straps by defeating the Phoenix Twins AND the Murder City Machine Guns in a January 19th bout! Scott County Wrestling had two extremely good shows this month. With talent like Mississippi Madman, Shane Hollister, Trik Davis, Danny Daniels, Shane Hollister, and Tyler Black, only the best is to be expected. Tyler Black vs Shane Hollister is a great angle/feud, and Trik Davis and Danny Daniels becoming tag team champions at the event following their number one contendership win was interesting, as well. In the coming months we could see SCW back in the winners column in the promotion of the month category, as matches such as Trik Davis & Danny Daniels vs Zero Gravity and the Tyler Black vs Shane Hollister rematch are possibly on the horizon! In the month of January, nobody else in the Midwest comes close. There was only one women’s wrestling match in the Midwest that MWR covered, but that isn’t to say that this award is a freeby for MsChif. MsChif is recognized around the region as the best female wrestler, winning the Stranglehold Awards best local female wrestler for 2007. Looks like she’s started the new year off right! Mr. Eastman pulled off a major personal victory when he signed Arik Cannon and the North Star Express to his stable on January 19th. Later in the evening they won the AAW Tag Team titles, by beating fellow stablemates the Phoenix Twins and the defending tag team champions, the Murder City Machine Guns. The Phoenix Twins aren’t happy with Joey Eastman’s new additions, which could prove troublesome down the road for the January 2008 Personality of the Month, but for now Mr. Eastman is riding high! SCW called this “quite possibly the greatest tag team match in SCW’s history”, and for good reason. This was a fast paced match for number one contendership to the SCW Tag Team titles! While Davis and Daniels won the match and then went on to win the Tag Belts at the next show, it looks like Zero Gravity just might be in line for a rematch… this time with the SCW Tag Team Titles on the line!